Tim Brown of IDEO posted this very simple image that is incredibly powerful. 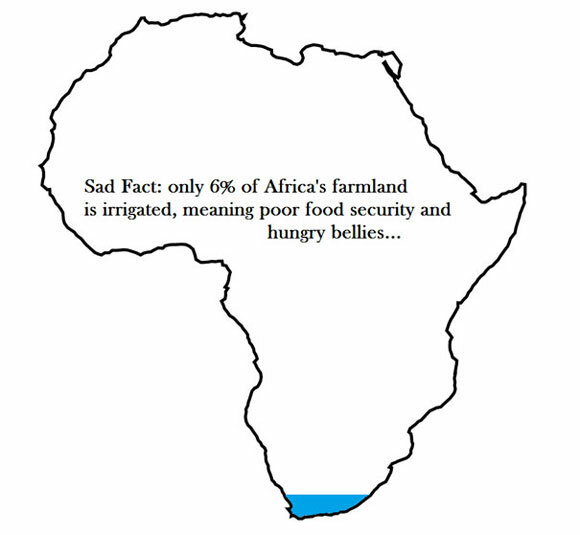 The image clearly communicates the potential of more irrigation to help meet Africa’s need for food. What’s a message you want to get across? What’s the simplest image you can use to communicate this message in a provocative and meaningful way?